In my head I can hear Mary Poppins singing her “practically perfect in every way” song. That’s how I feel about this cake. Even though I’ve made this cake before with the Daring Bakers more than a year ago (Wowsers, where does the time go? ), I didn’t think twice about making it again. I love the lemon cake, berry preserve filling and swiss meringue buttercream frosting. (You are totally drooling right?) 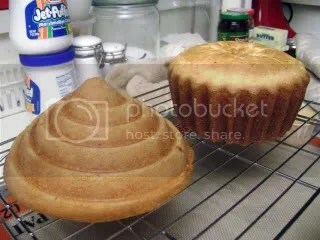 I was thinking this time around I’d change it up by making cupcakes but while searching for my cupcake pan… I found my Wilton Giant Cupcake pan and knew this would be the perfect recipe to christen my pan. Thanks to Carol of Mix Mix Stir Stir for hosting this week. You can find the complete recipe on her blog or my cupcake blog. Also check out the TWD Baker Blogroll to see how everyone else did on their Perfect Party Cake. You are bound to be amazed! Congratulations to Lisa of Surviving Oz for designing the winning logo! 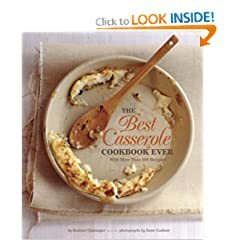 She gets to pick next week’s recipe as her prize. I think it’s quite clever with the eiffel tower as an “i” in Dorie, don’t you? But I have to admit I am kinda partial to the old logo so I’ll probably switch off between the two depending on my mood. What’s better than a cupcake? 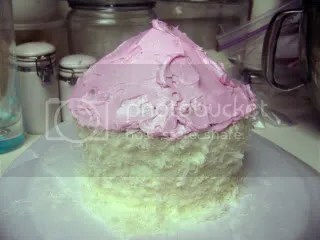 A GIANT CUPCAKE! 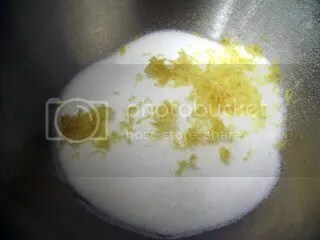 There’s nothing like rubbing sugar and lemon zest between your fingertips. I love the way it makes my hands smell. Am I weird? 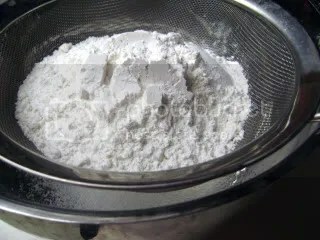 To make cake: Combine with butter, flour mixture and milk+egg white mixture. The perfect party cake batter filled the cupcake pan pretty well. It didn’t rise as much as other batters which actually worked out better IMO. Since I read various reviews that the “bottom” baked slower than the “top”, I filled the bottom part about 2/3 full and baked for 15 minutes, then filled the top about 2/3 full and bake both batters for another 30 minutes. 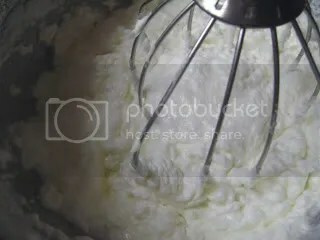 To make buttercream: Combine egg whites and sugar over a pan of simmering water until sugar is dissolved. 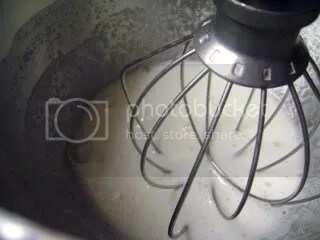 Whip with a whisk attachment until looks like a shiny marshmallow creme. 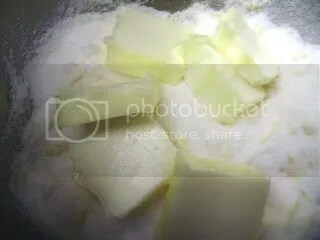 Add softened butter a little at a time. 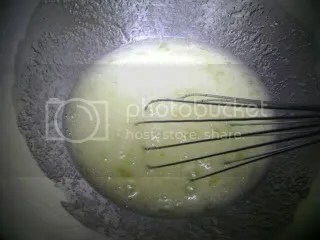 Dorie says to switch to flat beater before adding butter but I just used my whisk and it worked great. 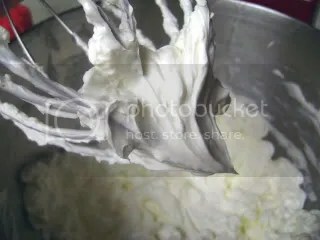 Don’t be scurred if your frosting starts to look curdled. IT’S A GOOD THING! Just keep beating and beating and beating until your frosting comes together smooth and silky. It’s like magic! 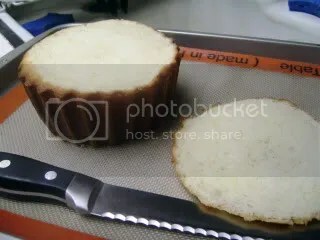 To assemble cake: Use serrated knife and cut off tops of “bottom” and “top” of cupcake so they are level. Cut the “bottom” into 4 pieces. 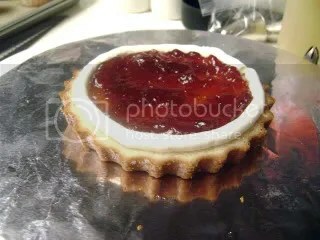 Using a Wilton 12A round tip, pipe a barrier and fill with strawberry preserves. 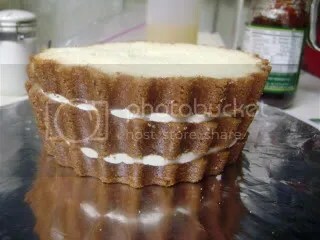 Then top with a layer of buttercream. Repeat for other 3 layers. 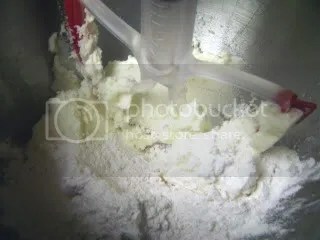 Using an offset spatula create a crumb coat. 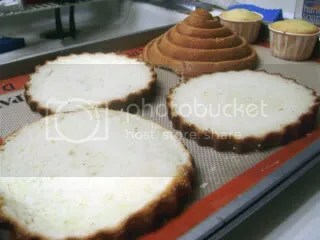 Let crumb coat set and then apply a second layer. Immediately after the second layer I pressed coconut all over. 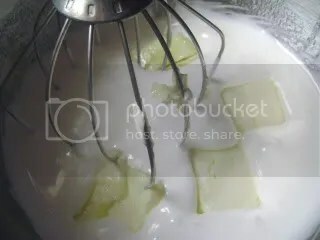 Then gently put the “top” on the “bottom”. 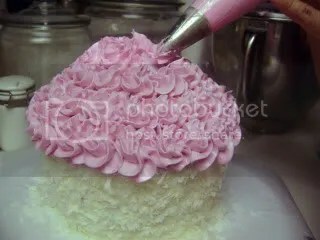 I used Ateco fuschia gel coloring to tint the rest of the buttercream pink. Using an offset spatula I applied a thin coat of buttercream to the “top”. Then I switched to a Wilton 1M piping tip and made rosettes following the natural curve of the “top”. For a little bling I added white dragees randomly all over and topped with a strawberry. He’s a red velvet man but I’d say that the Perfect Party Cake is a close second. He loves the meringue buttercream (but not as much as cream cheese frosting). It’s not “perfect” for nothing. Love this cake. So moist and yummy esp with the preserves. I’m a big SMBC lover too! I made this cake for a bbq. Friends raved about the cupcake cuteness factor and loved the flavors of the cake. Definitely a hit. 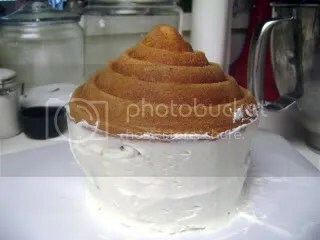 I wish I could have gotten a picture of my godson’s face when he saw the “Giant Cupcake”. Priceless. Entry filed under: Tuesdays With Dorie. Tags: Perfect Party Cake, wilton giant cupcake. 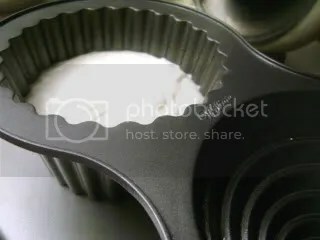 I love your cupcake pan! I used cream cheese icing. LOVE LOVE LOVE what you did with this weeks TWD! You amaze me! Holy smokes, it looks freaking amazing! You rock! Oh! A fairy cake! I’m a fairy! I’m a fairy! …can I get a piece??? WOW! 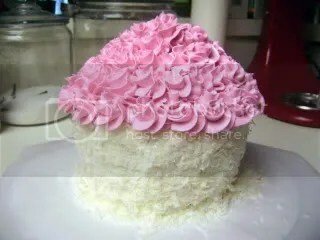 This reminds me of Martha’s frily cake, gotta try that technique sometimes! Beautifully done CB! lovely! this is sooooo you. 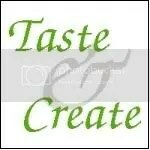 Great job on the PPC; wish I could have a taste!! Looks gorgeous, CB! 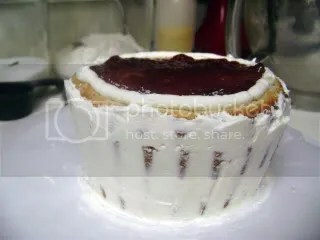 In fact, it’s about the only giant cupcake I have seen that actually looks great! That is so cute! I’ve been wondering about this pan. I love it! That is really really cute! What a great pan, and you did such a good job of decorating! Aaaaaaaagh, I’ve been so tempted to buy that pan! I’m throwing a party for the nephews soon, and then it will be MINE! Mwahahahaha. 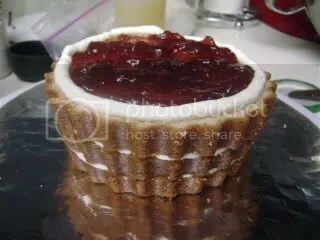 When you mentioned you used a giant cupcake pan, I didn’t quite get that you really did mean a GIANT cupcake pan until I saw the photo of the pan. It’s fantastic! You made it look extra good with your piping talent and the coconut on the sides. Thanks for baking with me this week. Now that’s an amazing cupcake! Beautifully decorated! Totally darlunny (is that a word?) I had to suspect you would have that wonderful cute pan. Genius! That’s all I can say and how fun that you took this cake to such a creative and fun place. I love that cupcake pan! What a creative idea. I am about to make a cupcake cake for an upcoming birthday. I am going to decorate it with butterflies. 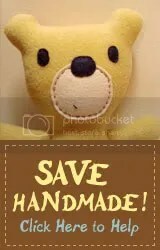 Any ideas how to make them? I would LOVE to sit them on top and on the sides. SO cute! Great job! I love the piping you did! Wow!!! Your giant cupcake cake is amazing. I love it. whoa–that’s pretty! love that pan! Wow! Definitely cute! I am very impressed by this cake and know for sure that this is a go to cake forever. Great job! How cool! 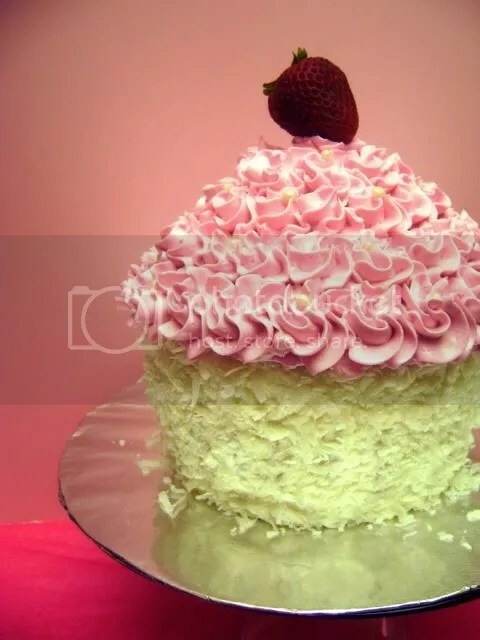 Your giant cupcake looks fantastic with the pink swirly frosting. The giant cupcake is so cute! This is one of the best cakes I’ve seen using that mold! Awww, this is so adorable! That is the coolest cake ever! The coconut on the bottom really works as the “wrapper”! Love it!